No prep! 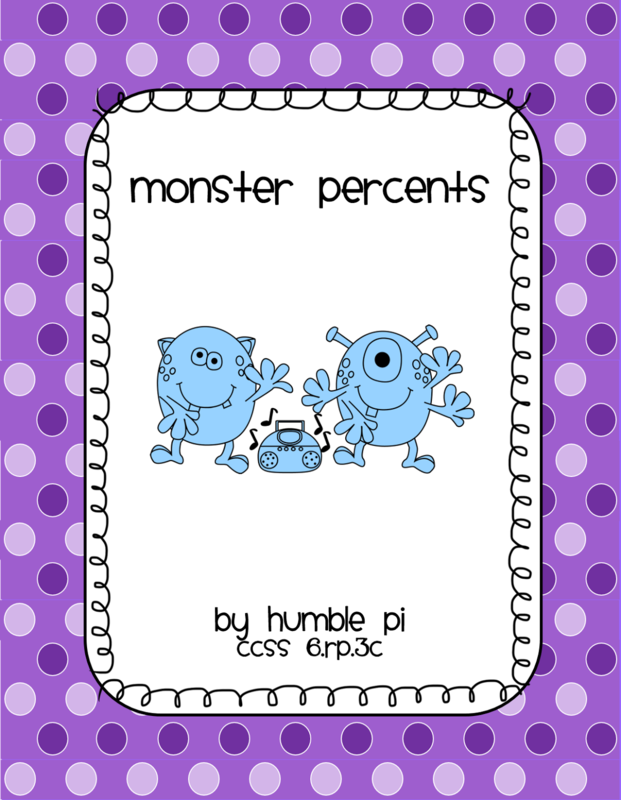 Funny monsters give a unique way for students to practice finding percent of one hundred. These two pages are a great visual introduction to the concept. Students are also asked to create their own percent problem. Aligned to CCSS 6.RP.3c, but great for 7th and 8th grade review, too.. Answer key included.